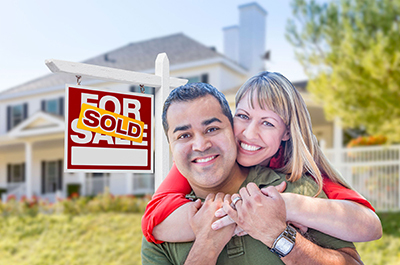 I want to sell your home as quickly as possible and for the highest dollar. I also want to create a win-win relationship for everyone in the transaction. If this is what you want too, please read along. (Or just call me!) Below is my process for a successful home sale. Have a brief phone conversation about your home and your needs. I will need to know how much you owe on your home so that I can give you an estimate of your net proceeds from the sale of the home. Set up an appointment to meet at your home, tour it, and then look at some initial paperwork. This takes about an hour, but perhaps less. I want to make sure I have time to answer all your questions. First of all, know that I will do my very best for you. Most likely I will give you a “honey-do” list of important things to do on the home to help get the most for it. This will also help avoid trouble at inspection time. Once the home is ready to go, I will hire a professional architectural photographer to photograph your home in high dynamic range (HDR). Photos are critical to your home sale. Do not settle for an agent who does his/her own photos--especially if he/she just uses a cell phone to take them. I will hold an open house on the first weekend the home is listed. This way, I can get instant feedback from people who attend. Once an offer is received, I will present it to you right away. Most of the time we have just a few hours to respond. When the final deal has been negotiated and the paperwork signed, the 10-day clock begins for the buyer to conduct inspections. Inspection results usually require another round of negotiations. This can be stressful, but we can get through it! Once inspection issues have been resolved, we can relax for a few weeks (usually). I will check up regularly with the buyer’s lender to make sure the financing is going well and will be on time. Then I will make an appointment for you to sign closing documents at the title company. This is usually a few days before the buyer’s closing date. The title company will need important information from you so that they can contact your lender to get the payoff amount of your current mortgage. The title company can have your proceeds wired directly to your bank account, which is pretty fast. On the closing date, the buyers will go to their title company and sign paperwork. Then the title company sends the paperwork to the buyers’ lender. When the lender approves it (usually within a few hours), then the title company can wire the money to your account.